Make breakfast, buy flowers – and surprise her with a gift that is not only thoughtful but most of all useful! In May is Mother’s Day and even though we don’t need a fixed date in the calendar to say thank you, it is still a great opportunity to show the best mothers in the world once more what we love and appreciate about them. And the best way to do this is with a gift that is stylish, yet durable and functional. Just how Mum likes it! Let us inspire you with our suggestions for a Mother’s Day gift that brings lasting joy. 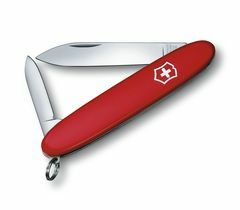 Make a simple bouquet of flowers that bit more special when you give them along with the Victorinox Flower Knife. A bunch of flowers doesn’t last long, but cutting them properly can help to extend their life. Green-fingered gardeners can use this pocket knife to trim and prune, making it a gift that will last long after the last flower has finally wilted. A thoughtful gift for those whose fingers are as green as their attitude. We all know that the way to a person’s heart is through their stomach, and the joy of cooking often begins with baking: So why not bake your own Mother’s Day cake and gift it along with an exquisitely designed kitchen tool? 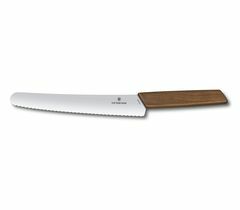 The Swiss Modern Bread and Pastry Knife from Victorinox, with a perfect wavy edge and elegant handle made from European walnut, will quickly make itself at home in the kitchen and as indispensable as a mother who has a skill like no other. A unique choice and beautiful gift for all those who know how to celebrate pleasure with style. Experience each moment mindfully – don’t count the minutes, simply just be: The modern, monochrome I.N.O.X. V gives time a new dimension and a fresh colour. The shock-resistant case in pink gold and the matching rubber strap will answer every glance at the dial with the charming smile of unwavering tranquility: Everything is under control – we are still keeping perfect time. The I.N.O.X. V in pink – an exclusive gift for all those who don’t just see pink as a mood, but as an attitude. Awaken the spirit of discovery! What would life be without the power of imagination and the ability to daydream? Far-off countries, foreign cultures, exotic fruits, flowers, and spices – the Victorinox Ella Eau de Toilette is an invigorating scent that exudes subtle charm and promises a sensory journey of discovery. A finely balanced creation in a design award-winning bottle, which also represents an invitation to be open to new things. The perfect gift for all those who wish to keep a sense of romance and adventure even in their everyday routine. A vitalising shower is balm for the body and soul – with Ella Shower Gel, simple droplets of water become creamy soft scent experiences that restore your energy in seconds and gently care for your skin. A great feeling for a care-free start to the day, accompanied by a seductive lightness. A different way to give flowers – freshly picked every day. A charming gift for all those who blossom with the prospect of a little bit of time for themselves. Make devotion into a ritual! A loving hug expresses appreciation and demonstrates personal devotion and attentiveness; Ella Body Lotion wraps the body in pure comfort, moisturises, and gently cares for the skin. Its light consistency coats the skin like an invisible film and gives off a fine fragrance that acts like a secure protective shield against any negative mood. Ella Body Lotion in a handy aluminium tube – a welcome gift for all those who enjoy caring for their skin with personal rituals. Help her keep it together! A mum’s handbag is the source of almost limitless possibilities! The Victoria 2.0 Envelope Wallet helps her to keep everything organised. With a zipped coin pocket and slots for up to 9 credit cards, the stylish Nappa leather interior ensures that she can quickly find what she is looking for in her wallet, whilst looking good at the same time. A stylish yet practical gift for all those who rely on good connections. Make space for personal things! 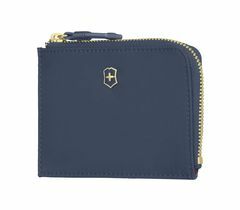 Passport, wallet, fountain pen case, powder, and lipstick – all very personal things that deserve a designated space where they are kept safe and secure. 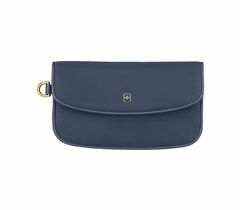 The Victoria 2.0 Clutch bag offers impressive capacity, but more than that, it is also an attractive accessory; the super-soft blue nylon is extremely durable and feels exceptionally pleasant to the touch. It’s simply amazing what this nice little bag can hold – and it hides it all away without a trace. A perfect gift for all those who are constantly short on space. Everything stored tidily in its place – and no more untidiness, ever: The Victoria 2.0 Key Holder keeps everything “in its place” and close at hand when needed. 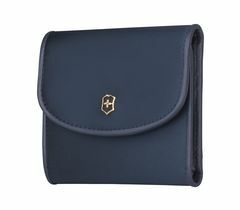 An ID card pocket with window and a handy key fob provide a well-structured design, while the slim format is suitable even for small handbags, and the quality of the material ensures it keeps its beautiful shape. A clever gift for all those who like order in their handbag as well as in their lives. Looking for a gift idea for other occasions too? 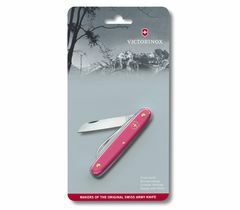 Mother’s Day, Father’s Day, birthdays, anniversaries, or special occasions – we have arranged the most popular products for you by target group and occasion in the Victorinox Gift Finder – give a gift that speaks for itself, is surprisingly innovative and practical, and that promises a very special experience. Mother’s Day is just a date on the calendar; the opportunity to give joy is there every day.